Ordering online was easy followed by excellent customer service and communication. Once the item was shipped I found the tracking to be exceptional and timely. On receipt of the piano cover I found it to be exactly as described and ordered and I am very happy with it. I would definitely recommend this company to anyone wanting a piano cover. 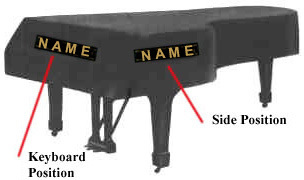 Our church received a donation of a new Boston Grand Piano but no cover! 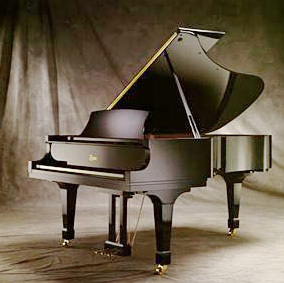 I went to your web-site and put in the model number of the piano and was given many choices. I decided which one - ordered it and it arrived in about two weeks. We are very pleased with the cover it is very well made and the service we received was wonderful. I love the piano cover. It fits perfectly and keeps the piano nice and clean - with 3 cats, we were constantly getting paw prints and kitty litter left behind on our beautiful mahogany piano. It is quality made and looks great! I wish I would have bought it years ago!!! Perfect. Fits great; looks great. Keeps my cat from scratching the finish. Side slits mean I can use the piano without taking the cover completely off. 100% satisfaction. We are very pleased with the piano cover we ordered. It is much lighter than the previous one and fits the piano perfectly. Thank you.